It’s the perfect award to celebrate a great tournament! 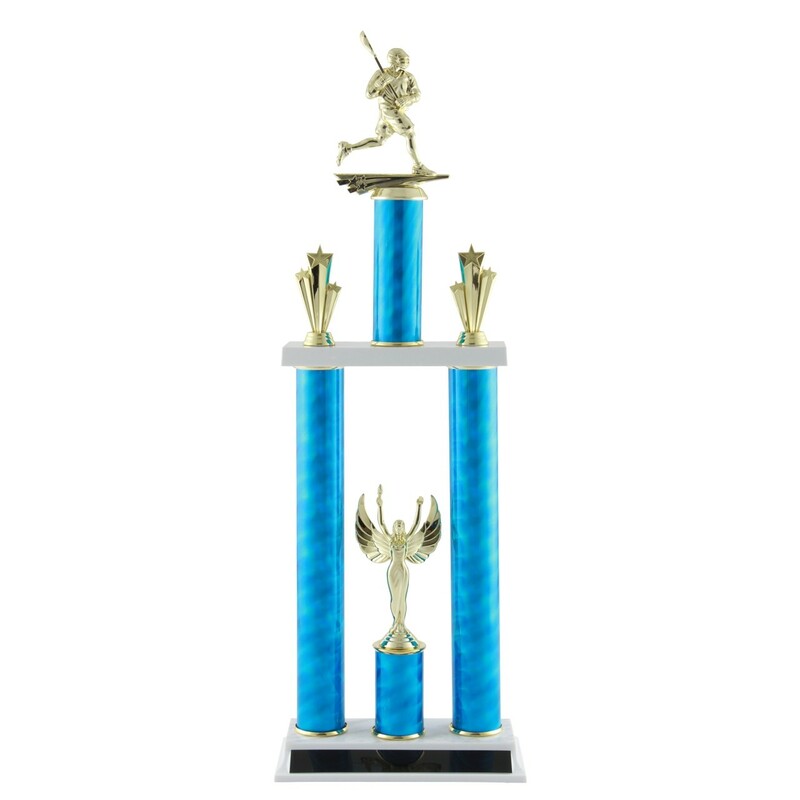 Our Male Lacrosse Tournament Trophy – 25" features swirling column in your choice of color and a 5 inch boy lacrosse figure. A winged victory angel figure is attached between the column below, and golden shining stars trim accents the edges. 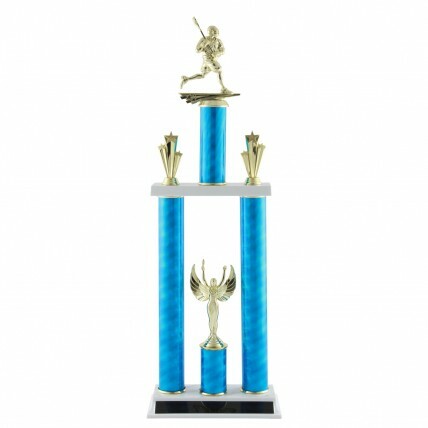 At 25 inches tall, this winner’s trophy is sure to be a hit with your champion! Male Lacrosse Tournament Trophy - 22"